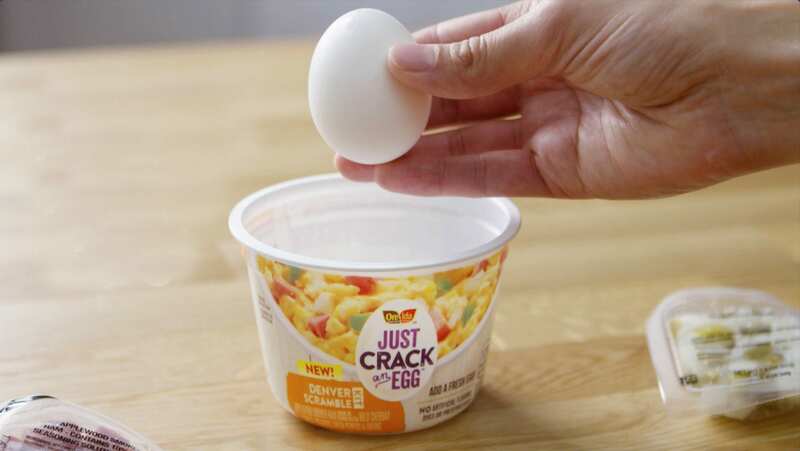 Watch our quick video for a step-by-step guide on how to fall back in love with breakfast. 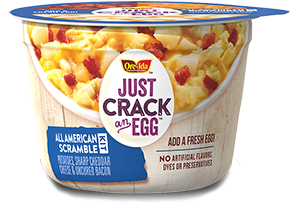 Your breakfast love has arrived. 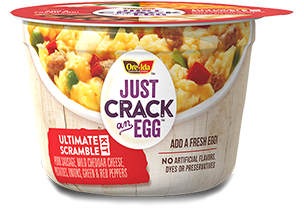 With Just Crack an Egg breakfast bowls, you're less than two minutes from hot, fluffy scrambled eggs packed with all the fixings. 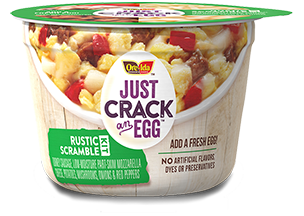 Simply crack a fresh egg over our chopped veggies, shredded cheese, hearty meats and Ore Ida Potatoes, then stir, microwave, and enjoy. 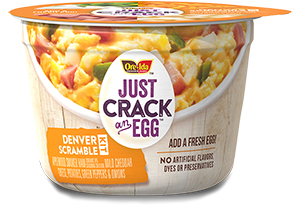 Explore all of our scrambled egg breakfast bowls and prepare for love at first bite. Breakfast love comes in many flavors.